By donating vacant land in the 600 block of Maryland Street, the city of Gary will help Goodwill Industries provide job training for youth, ages 16-24, and also help them earn a high school diploma. 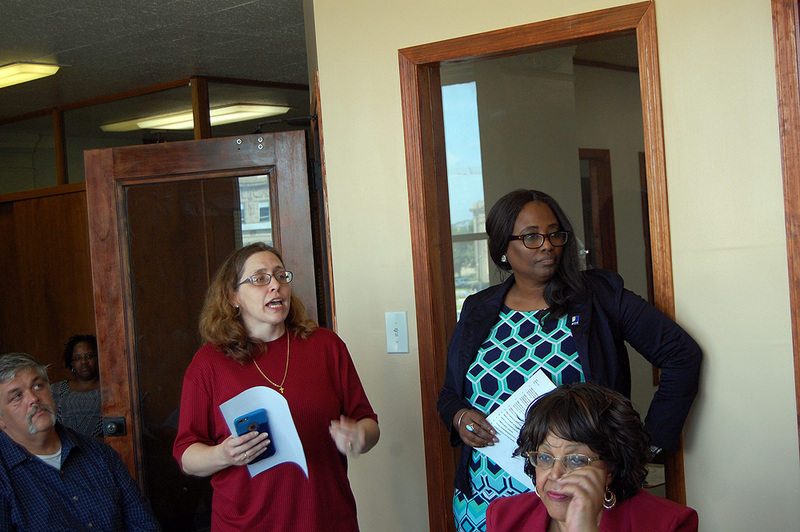 Goodwill’s Burgess Peoples and Carrie Lee told the Gary Redevelopment Commission of the agency’s plans to build low-income housing that will provide the youth on-the-job construction training. Lee said the city’s donation of land is a key component in the agency starting a Dept. of Labor YouthBuild program in Gary. Goodwill’s use of the 35’ x 125’ lot will bring Gary’s first example in the “tiny house” movement. Peoples said they plan to construct 4 homes, at 300-400 square feet each including a community garden space. The expected home occupancy is for 1-2 people. Goodwill’s commitment to the Gary area continues to grow. In June, ground was broken on a new Gary Campus building at the corner of Ridge Road and Clark Road. The 105,000 square foot Gary Campus will feature their first Outlet Store, with most items sold by the pound, and a Donation Drive-Thru. It will also include The Excel Center, a free high school for adults 18 and over, as well as a Community Career Center, offering free job search assistance for anyone seeking employment. Goodwill opened an Excel Center in Hammond last year. Goodwill is also a partner with the Gary Police Department in its Gary For Life crime prevention program. The youth job training program is expected to start in 2019, after completion of the new campus. Peoples said the current store at Ridge Road and Cleveland will be used as a training center for the YouthBuild program.